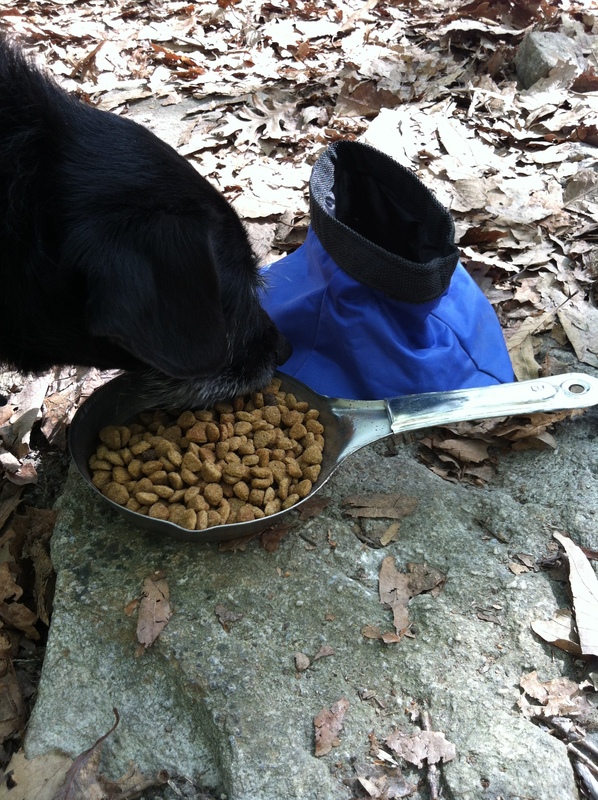 Lucky Dog: Camping Edition | Small, but valuable. The first time that Scott and I went camping together (and last time until this past weekend) is one of those “just wait ’til you hear this story” events in our life. A few short months into marriage, we weren’t exactly prepared to be greeted by drunk, shooting folks in the middle of the night in the middle of the woods, far far from civilization. Fortunately, we just went on our second camping trip of married life, and there were no bullets involved. Just a camp fire and s’mores and a hike. And family. Super thoughtful family, no less. My favorite surprise this weekend was that in planning our dinner for Saturday night, said family made separate foil dinners (dinner in foil so you can heat it up easily over the camp fire) for all of us and our two dogs. I’m pretty sure Peanut wanted to go home with them and eat foil dinners every night. There he is, slumming it again with his regular kibbles, wondering why he doesn’t get beef with potatoes and carrots for every meal. The trip was pretty fantastic. It’s so nice to be surrounded by quiet sometimes. With all of the distractions of home and work fading away in the background, my mind finally felt still for the first time in a long time. I was less scattered and distracted and fearful that I would miss something. Everything was straightforward, and that was a very welcome change for a day or so.